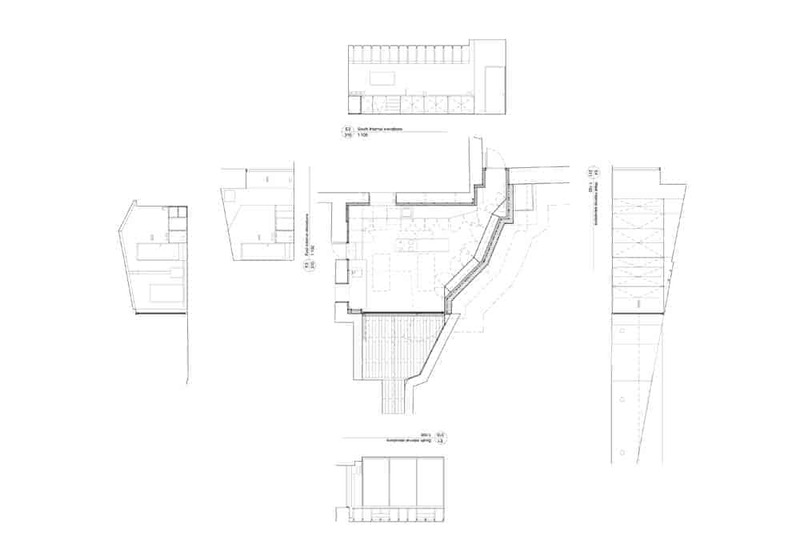 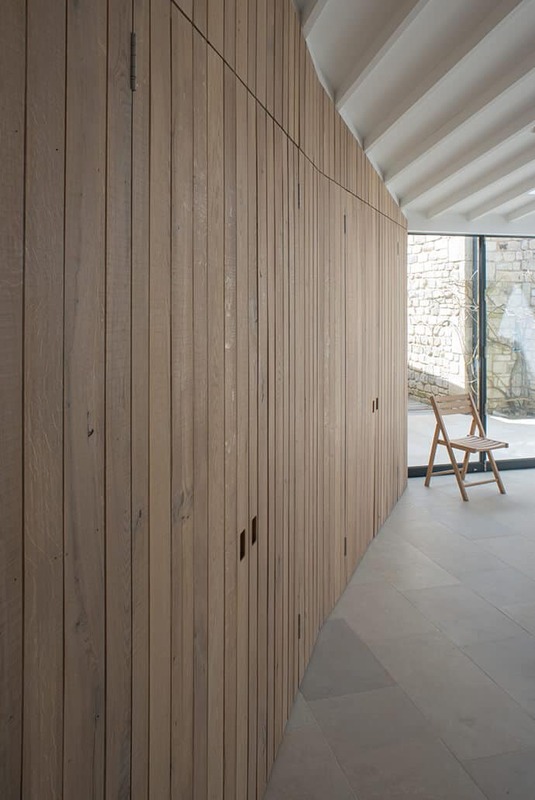 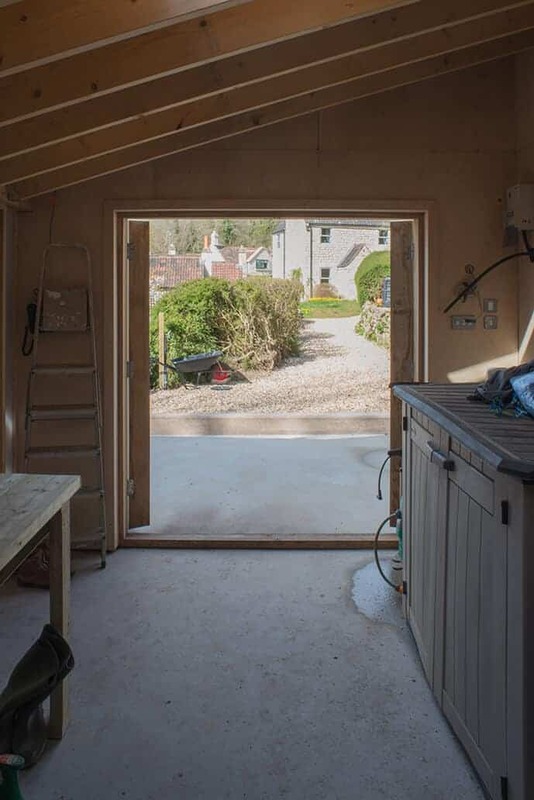 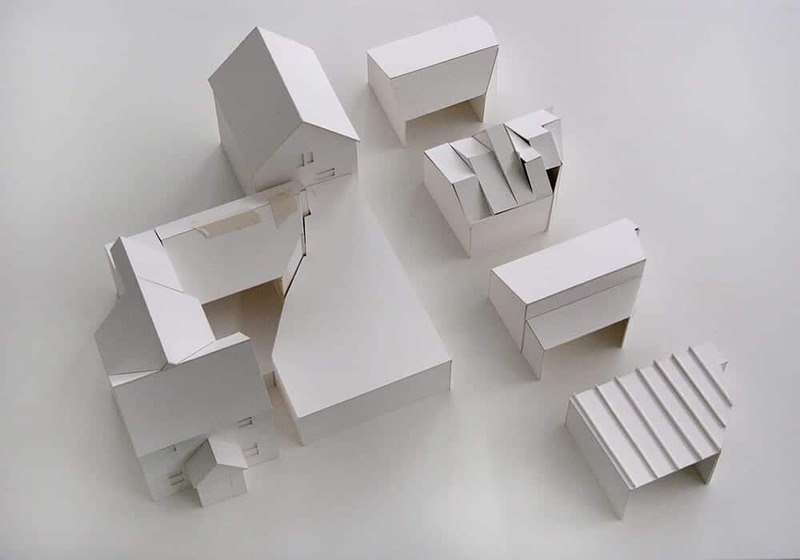 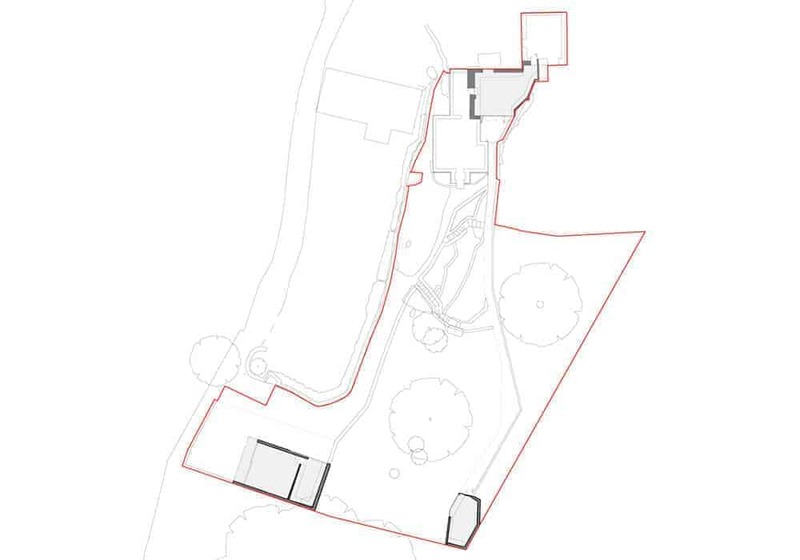 The workshop, kitchen and studio all operate in partnership, each marking the extremities of the plot and creating two clear axes through the landscape. 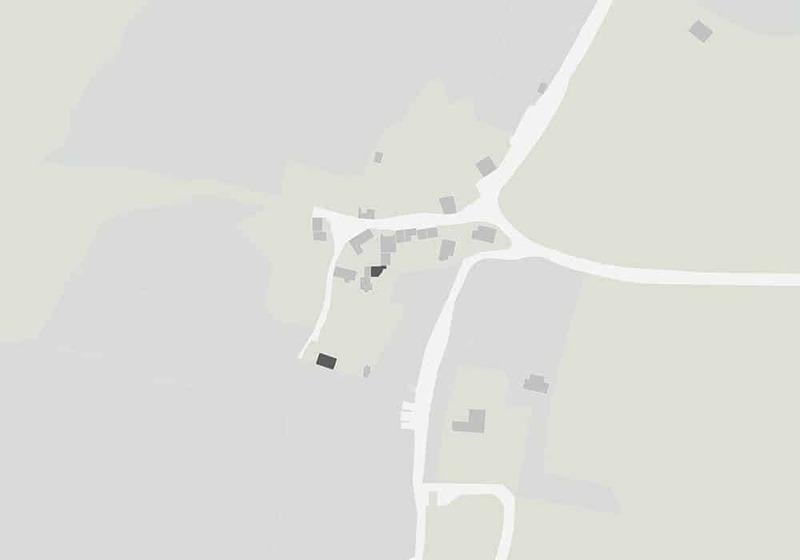 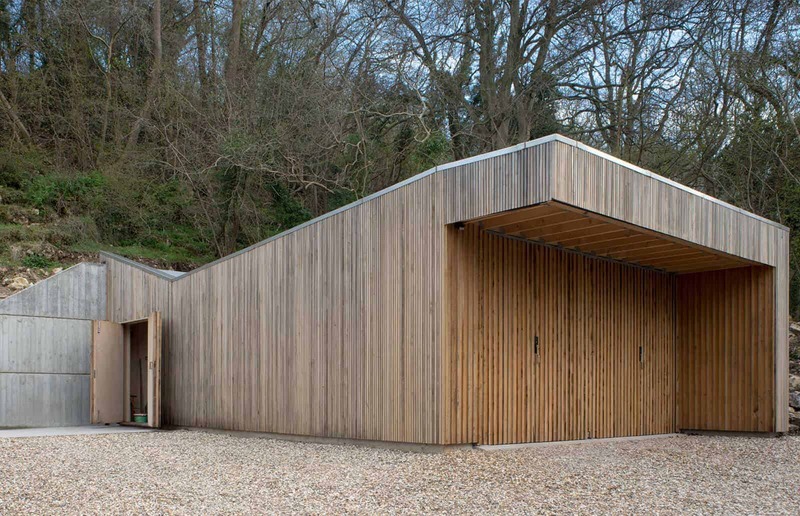 Distinct in character and materiality, the workshop is located at the base of the hill and entrance to the property. 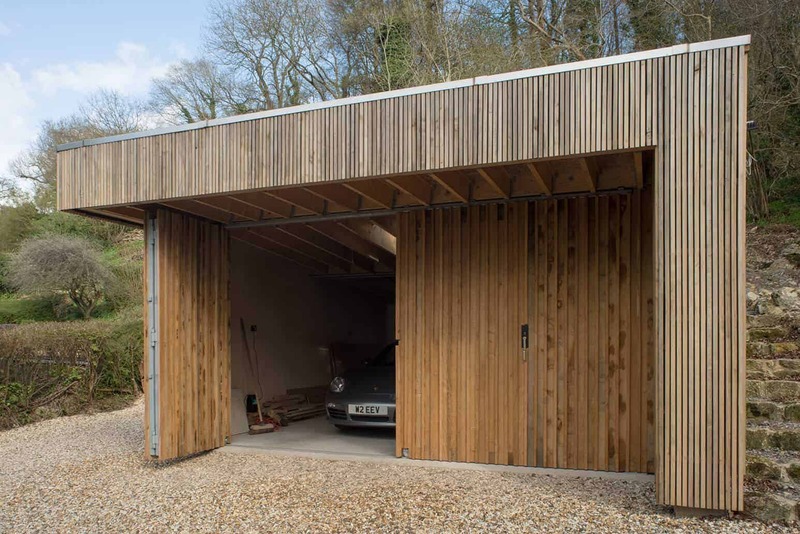 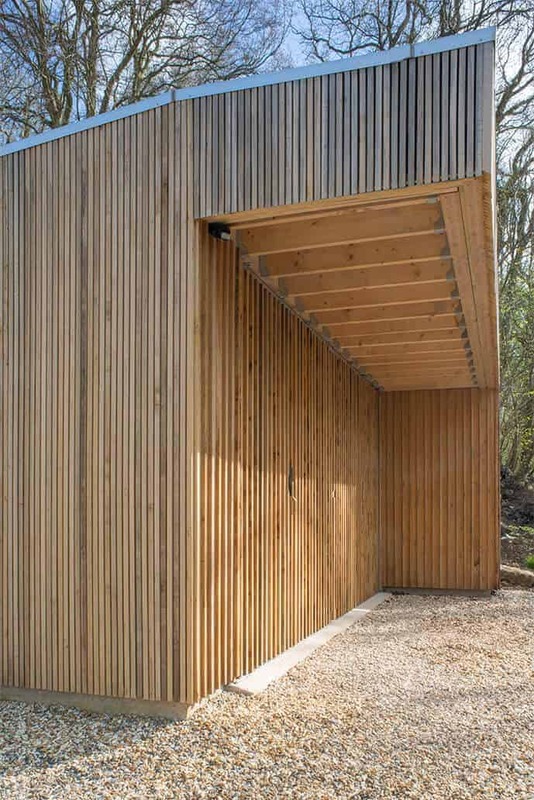 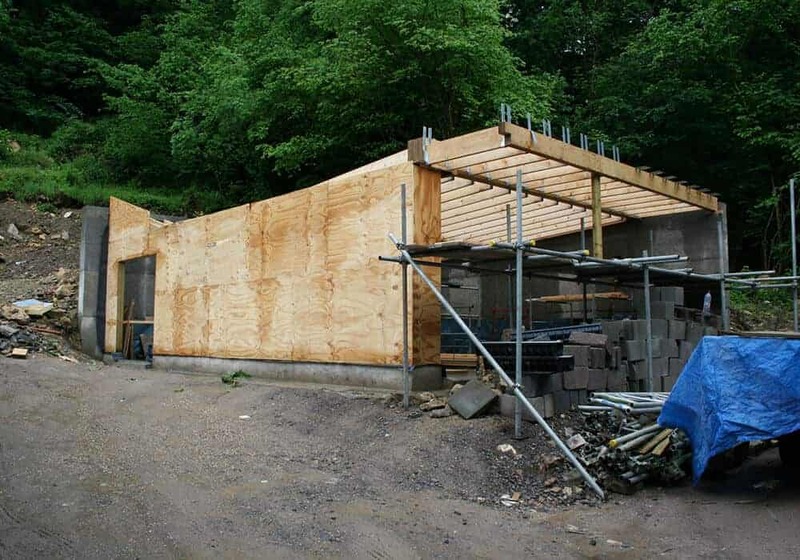 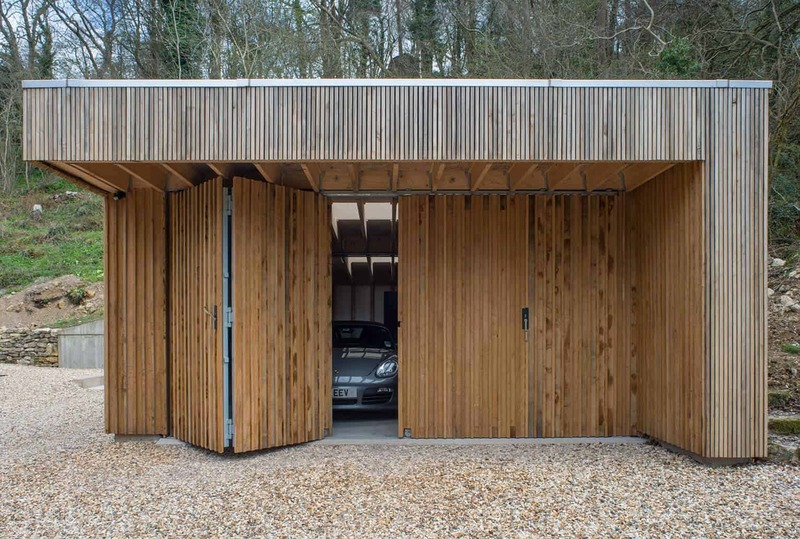 Timber construction is explored both structurally and in the cladding with direct reference to the woods in the background. 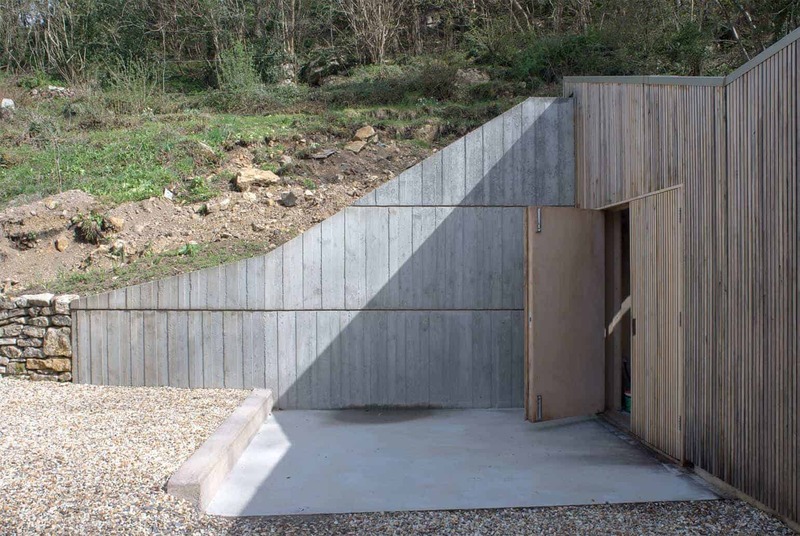 The texture, with its undulating surface, explores the differential weathering and damp woodland conditions. 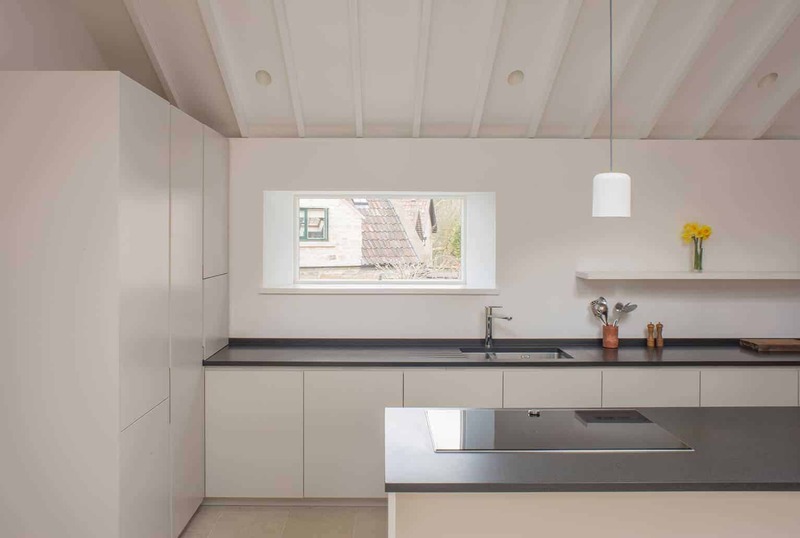 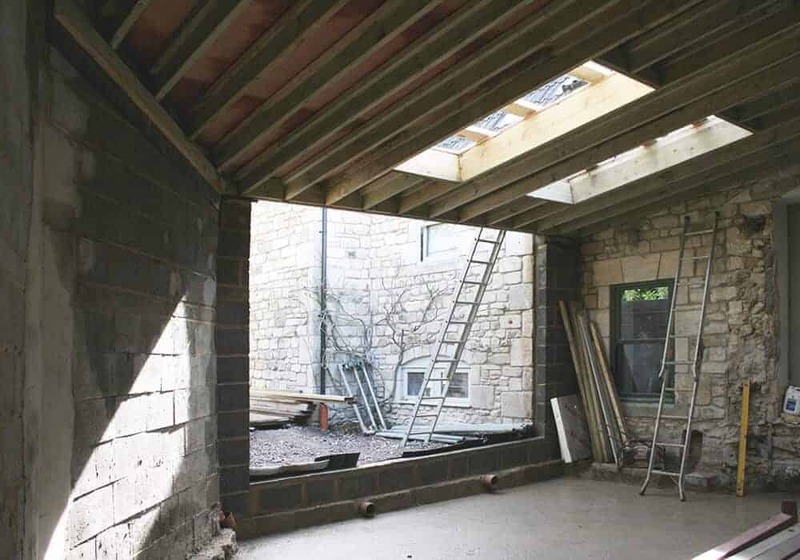 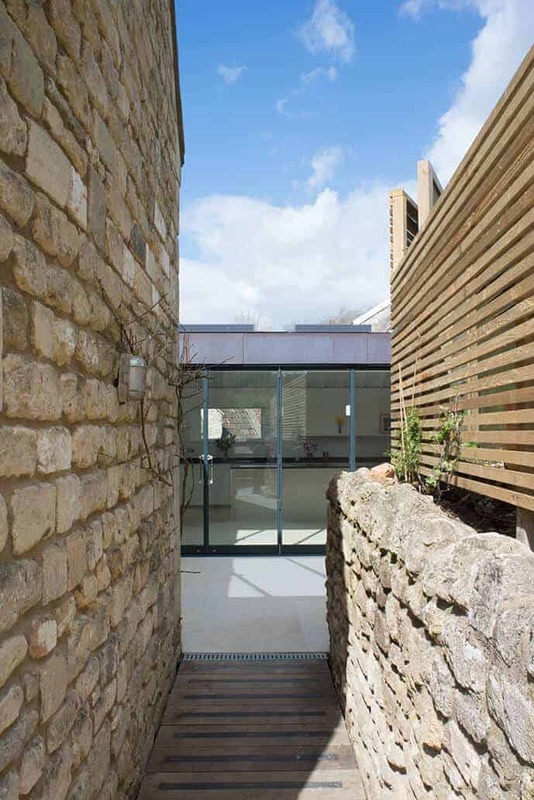 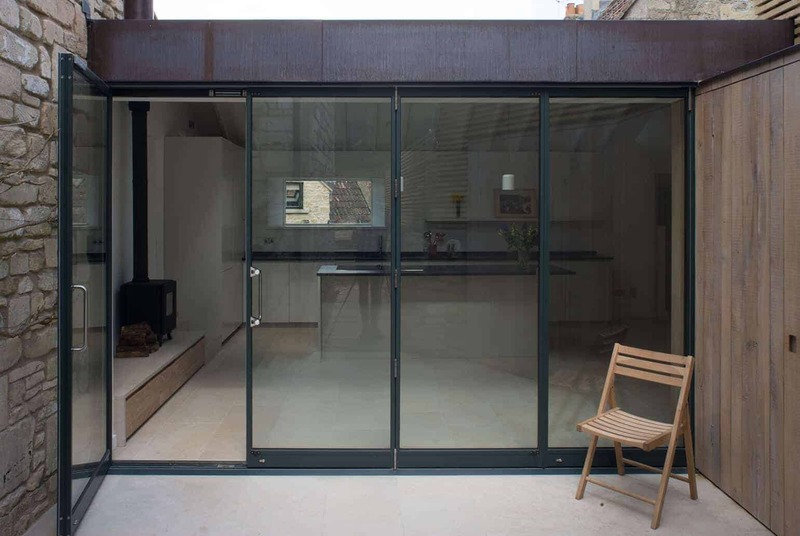 The new kitchen bridges between two separate houses, creating a new cooking and social space at the heart of the house, oriented towards a small enclave courtyard and out towards the garden. 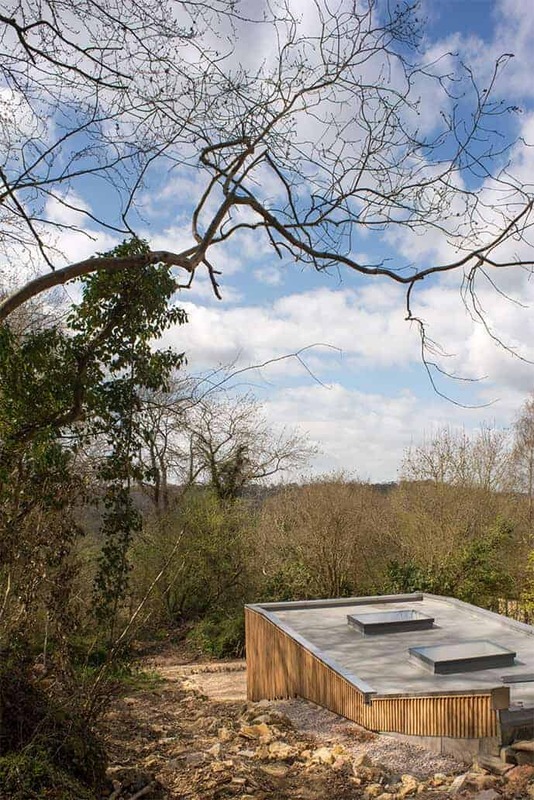 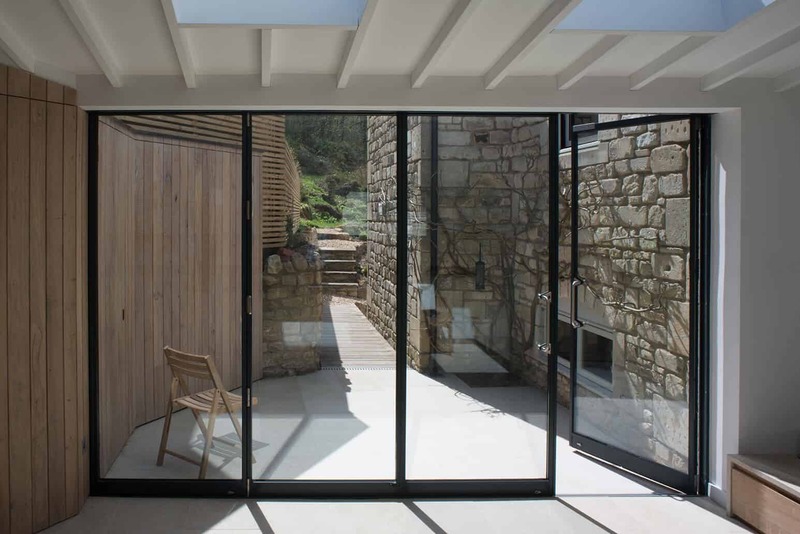 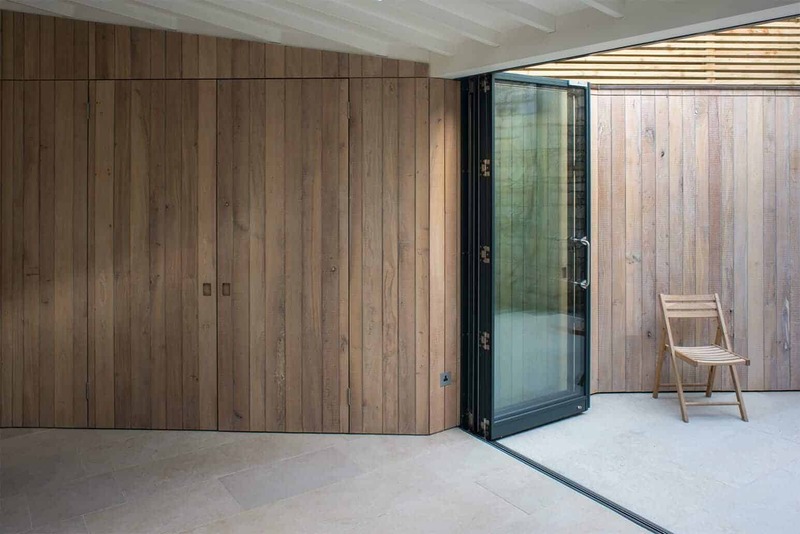 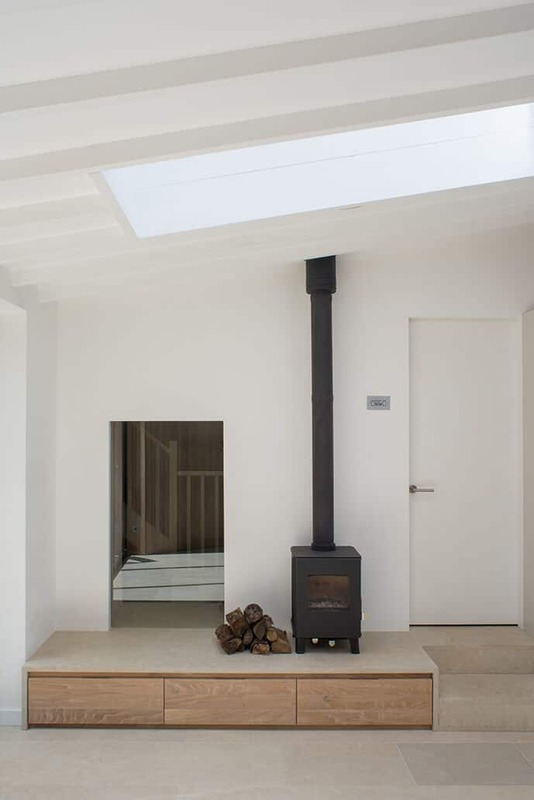 Overhead, the skylights create direct views to the studio on the hillside and the towering trees above, whilst full-height, glazed opening doors enforce a deliberately ambiguous threshold between the kitchen, garden and woods beyond.